ADELAIDE (Pacific Media Watch): A media academic specialising in Asia-Pacific affairs condemned New Zealand news coverage on West Papua and other Melanesian issues at a journalism education conference in Australia this week. Professor David Robie, director of AUT University’s Pacific Media Centre presented a paper called “Creative Commons and a Pacific media ‘hub’” in which he offered four recent case studies, including a scathing criticism of NZ media coverage about the Freeport mine strike and brutal crushing of a peaceful Papuan People’s Congress by Indonesian security forces with the loss of up to six lives in October. “The barriers to free reporting are perhaps a contributing factor to the almost negligible reporting in New Zealand news media of West Papuan issues, apart from occasional snippets about the Freeport mine,” he said at the annual Journalism Education Association of Australia (JEAA) conference in Adelaide. “A major exception has been Radio New Zealand International, which with very limited resources compared with its Radio Australia cousins, doggedly provides coverage on the legacy of armed struggle in West Papua and Bougainville. “A major problem is that for the international community the issue of West Papua is ‘settled’ and it is accepted as being an internal problem for the Indonesian authorities rather than an issue of ‘decolonisation’. Although the so-called 1969 Act of Free Choice had been a “stage-managed sham” by Indonesia after it had invaded the former Netherlands colony bordering Papua New Guinea and was widely condemned as the “Act of No Choice”, most media in Australia, NZ and the Pacific currently virtually ignored the issue, he said. It was left to international news media agencies to report on developments in West Papua – often from at a distance and their reports failed to gain much traction in the media of the region. 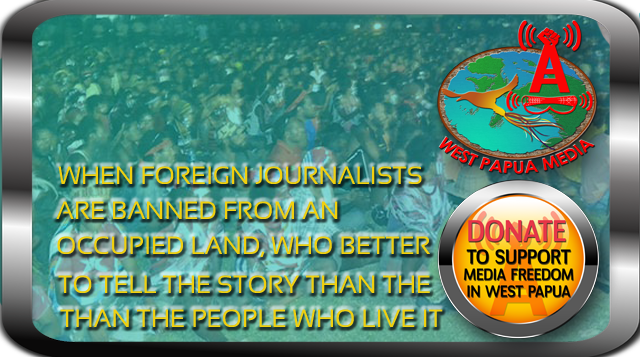 In a content analysis of a two-week period between the start of the military crackdown on October 19 until November 2, 2011, it was found that Pacific Scoop published 66 percent of the total of 99 news stories carried by main NZ news media websites about the West Papua crisis. Pacific Journalism Review published a media freedom report by Dr Robie and Pacific Media Watch contributing editor Alex Perrottet in the October edition which strongly covered West Papuan media issues.